The metallic Marnis are awesome! Seen similar ones by Comme and Margiela. Not sure about the high street though - I often think cheap metallics look...cheap. Yeah high street is a definite no no! Unless you want pieces of silver foil peeling off at every opportunity. 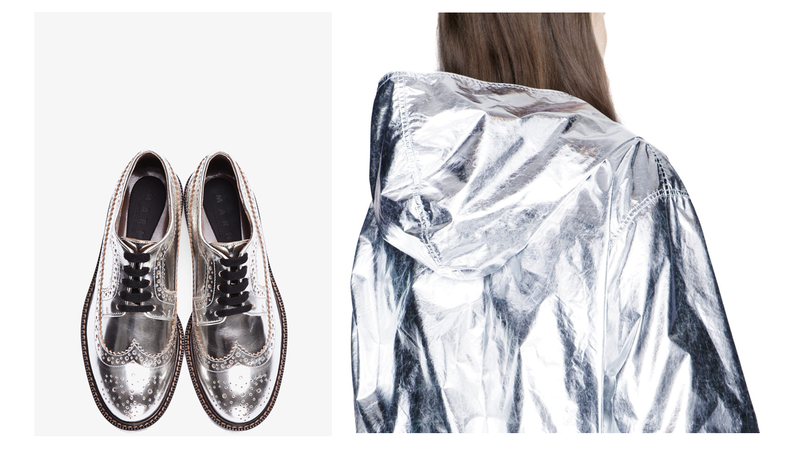 I'm a bit of a brogue addict, those are gorgeous and I love how you found that jacket on ebay!